The expertise of the teams at Garage Door Broken Spring Orlando is both extension and torsion spring services. The technicians are distinguished in Florida for their speed and ability to fix springs efficiently. With great experience and emergency contractors on board, Garage Door Repair Ocoee responds to emergency calls 24/7 and is one of the most effective contractors in Florida for installation, maintenance and repair garage door services. As a specialist in electric garage systems, Garage Door Repair Conway is one of the greatest hopes for all people in Florida who wish to see their electric garage door problems solved efficiently in a 24/7 basis. The 24 hour teams of Garage Door Repair Minneola are fast when emergency problems occur and excel in opener repair services. They prevail in Florida for their excellent installation skills. Garage Door Revolution is a family-owned and operated business that has been serving all of Brevard County since 2012. We work with our customers on a personal level. Honesty, integrity, punctuality and professional service is what this company stands for. Give us a chance to handle your garage door related needs and you'll see why Garage Door Revolution is a name you can trust. Perfection is the word which describes the quality of Garage Door Repair Forest City and the services the company provides in Florida. It's a 24/7, fully equipped contractor for full services. 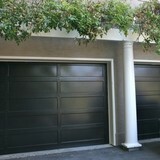 Garage Door Repair Winter Springs has dynamics technicians and strong infrastructures! 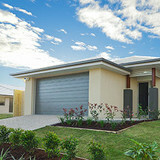 The company is top in Florida and the best in garage door installation, adjustment and maintenance services. Our veteran-owned company serves all of Central Florida with competitve pricing. Garage Force One delivers new designs catered for each home because garage doors are more than a line of defense for your home. Garage doors are the focal point of your home, and there is no limit to what we can do. Call today to get the service you deserve. Think Local. Be American. Buy Veteran. As an experienced contractor, Garage Door Repair Pine Hills can be of great assistance when people in Florida need emergency repairs. It's a 24/7 contractor and provides full services. 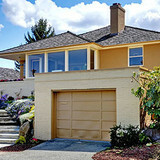 Garage Door Repair Oak Ridge is the true representation of excellence. When it comes to garage door repair, maintenance and installation services, it's the best and fastest contractor in Florida. Garage Door Repair Alafaya is a distinguished company in Florida with many years of experience and the skill to install, maintain and repair garage doors and also offer 24/7 emergency services. 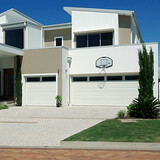 Garage Door Repair Doctor Phillips is the ideal contractor in Florida for all garage door needs. It's a great installer, provides emergency repairs 24/7 and excels in installation services. Garage Door Repair Bay Hill promises the best service in Florida! It's an experienced contractor which prevails for its maintenance and installation skills but it also offers 24 hour urgent repairs. The most efficient company in Florida! Garage Door Repair Williamsburg is the best repair contractor for all opener services, a fast 24/7 company and the best installer for all garage doors. What types of garage door service tasks do contractors in Winter Park, FL provide? A damaged garage door can lead to increased security risk, ruined belongings and an unpleasant exterior, so look for Winter Park, FL repair professionals who provide same-day or emergency services if the damage is extensive and poses a potential health and safety risk. Find Winter Park, FL garage door repair professionals on Houzz. Narrow your search for garage door repair professionals by selecting the nearest city or zip code. Look at portfolio and product photos, and read reviews to find the best garage door contractors in Winter Park, FL for your home.